Are you looking for the perfect starter instrument for your little musician? The Bontempi 4 Key Beginner Toy Trumpet is a great find. 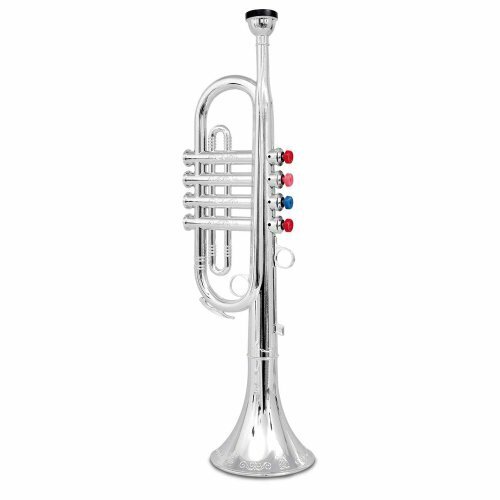 Economically priced, this fun child's trumpet is perfectly tuned and has colored and numbered keys to make non music readers able to play songs. Your musician will be able to amaze friends and family in no time… ear plugs not included! The toy trumpet is plastic and has a shiny silver finish.